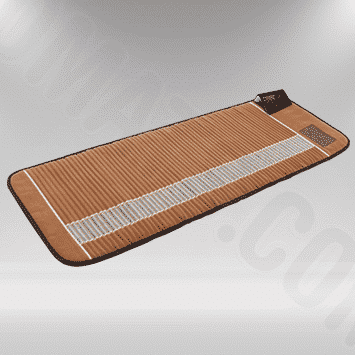 The Biomat Mini is perfect for home or professional treatment. 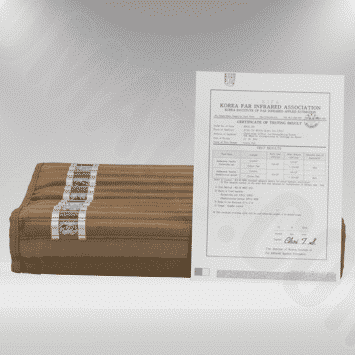 It is known for delivering deep penetrating far infrared heat to specific areas of the body. It does not have to be used on a flat surface. Some users enjoy using the Biomat Mini in combination with the larger Biomat sizes which work underneath the body on a flat surface. With the combination, it is possible to cover both top and bottom of any area of the body. 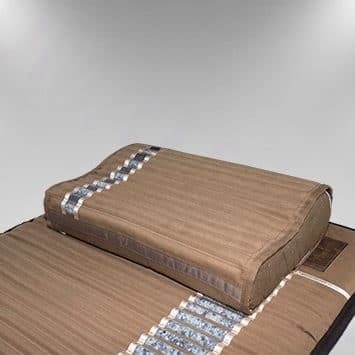 The Orgone Biomat™ uses gentle far infrared and negative ion therapy to improve the body’s natural rejuvenating and restorative sleep process. During sleep, the body completes repair, rebuild, and detox processes that are very important to balanced, successful, and happy living. 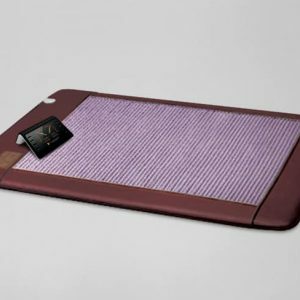 The gentle far infrared rays and negative ions produced by the Orgone Biomat™ are known to penetrate the body at a very deep level and have a profound effect at the cellular level during sleep. The Biomat Professional Comfort Combo includes a Biomat Professional, a professional size Quantum Energy Pad, and a Biomat Pillow. This is a perfect product combination for people who enjoy more comfort during their Biomat Professional far infrared and negative ion therapy and wish to have a more gentle far infrared experience on the head and neck. It’s also perfect for individual side sleepers who use Biomat during sleep. 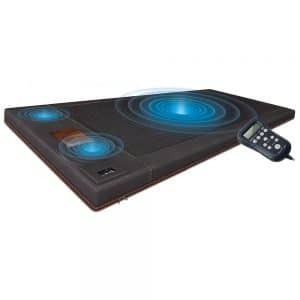 The Biomat Professional delivers full power far infrared while the professional size Quantum Energy Pad delivers a comfortable padding atop the Biomat which will not interfere with the far infrared experience. The Biomat Pillow keeps the head cooler and delivers a milder far infrared treatment. Many people enjoy a more gentle far infrared experience around the neck and head. Wellness professionals, military personnel, and first responders, please choose 100.00 professional discounts. 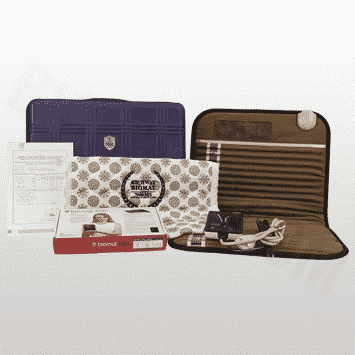 This combo includes the Biomat Professional and the Biomat Pillow. It is our most basic product combination for wellness professionals. This is also a great combination for any individual who wants full strength far infrared for the body and a lighter more gentle far infrared therapy for head and neck. Wellness professionals, military personnel, and first responders please choose the 100.00 professional discounts. The Biomat® Queen size will deliver high quality far infrared and negative ion therapy to two people at once. It fits nicely on a queen size mattress or any flat surface measuring at least 56″ wide and 79″ long. The body uses sleep as a time to do its essential repair work on body tissues. Biomat® benefits like increased circulation and reduced inflammation support the body’s work during sleep. Enjoy all the benefits of Biomat® while you sleep. Our Biomat® Pillows are designed to provide you with gentle healing, support, and comfort while you rest. 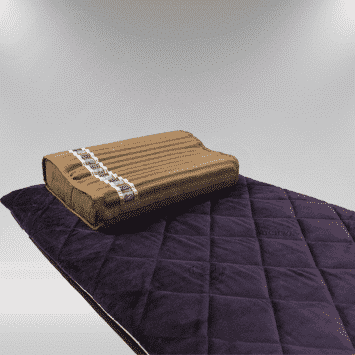 The pillow cover is lined with natural amethyst and tourmaline crystal to combine with your body heat to provide a very gentle far infrared and negative ion therapy.